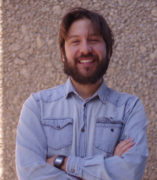 Enrique’s experiences of the Chilean military dictatorship made him interested in the intersections between the state, crime and penal institutions. His experiences offering legal and psychological counseling to immigrant women imprisoned in Chile led him to pursue a PhD in Sociology. At UIC, he will interrogate the intersections between immigration enforcement and mass incarceration, and compare the criminalization of irregular immigration in the US and Chile.